The Amish people have an interesting way of life. They seem to have mastered the art of surviving off the grid. But there are a host of other things we can certainly learn from the Amish people and apply to our everyday lives; some of which will make us look like total geniuses. 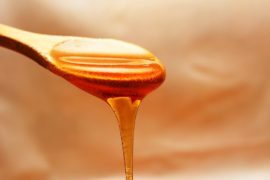 They are known to be a set of people that have very low cancer rates among them because of certain lifestyle practices. Therefore, Springtime Cottage has thought it good to highlight some of the practices of the Amish so that others can know at least a way of life that can also help them to prevent some of the terrible chronic illnesses such as cancer. Green cleaning is a way of using natural biodegradable and non-toxic chemical substances to achieve a clean and sanitary environment and eliminate all possible substances that may otherwise be harmful to us as human beings and the environment. Note: All of the products that the Amish people use are available to everyone else, so feel free to take on these practices and welcome them as a part of your lives. The Amish people are normal human beings who just chose a different way of life from the regular society. Everything that they do either have been done or can be adopted by other people. 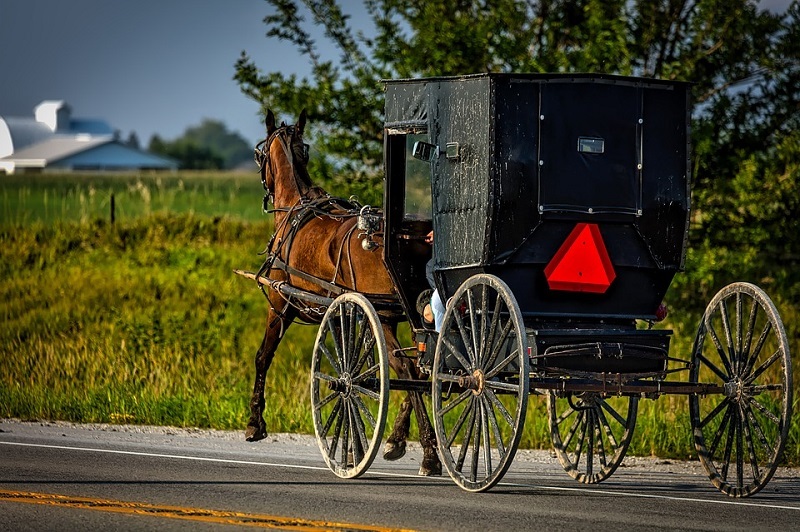 Some of the simple cleaning items that the Amish uses are: Lemons, Limes, Thyme, Vinegar, Baking Soda, Borax, Washing Soda, Salt, Hydrogen Peroxide and Essential Oils. Keep countertops clean and clear with no unwanted and unnecessary standing objects in sight. These could be jars, nice looking boxes, phones, electronics, pens, markers, pencils business cards and such things we like to see as nice. They only contribute to clutter. 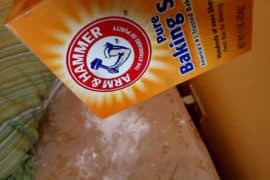 Use borax to repel or kill insects. How? Just make a mixture of equal parts of borax with regular sugar and sprinkle under the sinks, under stoves and refrigerators. The ants and cockroaches will come and eat and then they will be no more. Make sure these places are not accessible to pets. Butter can also be used in the same way as the sugar but remember not to let your cat find it. Just mix four tablespoons of borax in 4 cups of hot water. Place in a spray bottle and use to clean counters floors and any surface you see fit. It is very inexpensive and effective. Break up the gunk in your drains with one cup of borax and three cups of boiling water. Pour borax down the drain and then followed by the boiling water and leave it for five minutes. The mixture will break down the gunk and make it easy to flush out. Just turn on the pipe and run it for a few minutes till all is flushed out. The borax and hot water will kill the germs and disinfect the drain causing it to smell much better. Add about 1/2 cup of washing soda to a load of laundry. it removes orders, brightens clothes and makes whites whiter. It can also be sprinkled on clothes to help remove tough stains, however, do not let it sit on the clothes for an extended period- like say beyond five minutes to be on the safe side as its alkalinity has a tendency to cause holes in fabrics. If you have any pots or pans with cakes on grease or burnt food particles. Do not worry one more solution is here to he to help you. Just sprinkle some washing soda on the affected areas and gently mist with some water to moisten the washing soda. Let it stay on for 20 minutes and then scrub with a scotch brite. Rinse and see the magic unfold. I’m loving reading about some of the Amish ways, reminds me of my grandparents ways of doing things.